Ben Beddoes BIG BAND Night. 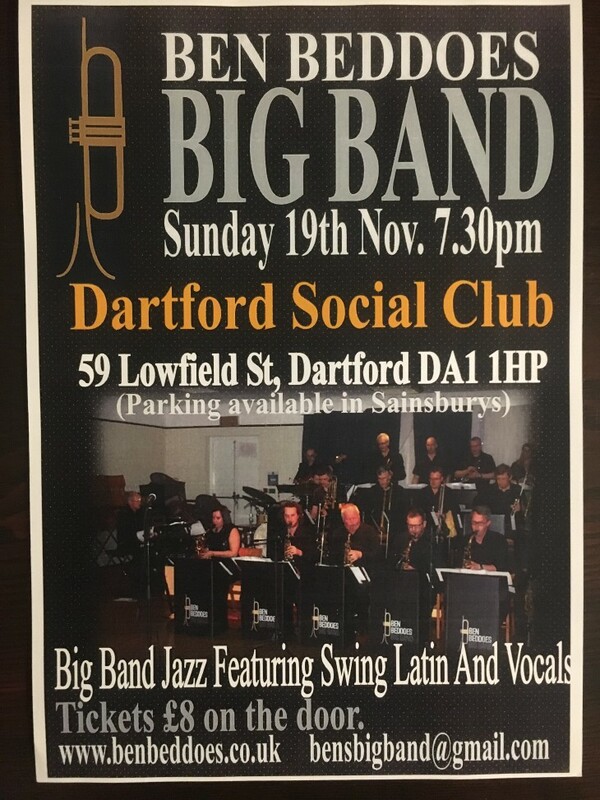 Join us on Sunday 19th Nov for Ben Beddoes Big Band night. Enjoy Big Band Jazz as well as featuring Swing Latin & Vocals. Tickets are £8 on the door. Don’t miss out on what promises to be a fantastic night.